Rolling hills, golden meadows and seaside views are yours to experience in Train Sim World: West Somerset Railway, bringing Britain’s longest standard gauge heritage railway to life. In "Hanse - The Hanseatic League" you play an aspiring merchant in 15th century Europe. Hold together and expand the trading guild of the Hanse by establishing a world spanning network of ship routes and diplomacy. Epic Car Factory lets you be the CEO of your very own car company. You are responsible for developing, building, and marketing vehicles for the world stage. The vehicle expansion “Hamburg Buses” adds three of Hamburg’s city buses from the latest 2017 generation to OMSI. This includes the 21 metre long large-capacity articulated bus with 4 axles as well as the solo and articulated variants with 12 and 13 metres, respectively. Expand Farming Simulator 17 with the ROPA Pack, for the most complete Farming Simulator experience! Drive 6 new vehicles and equipment from ROPA, including the ROPA Tiger 6 sugar beet harvester and the ROPA Keiler 2 potato harvester. Create, launch, and share like never before with Kerbal Space Program: Making History Expansion. 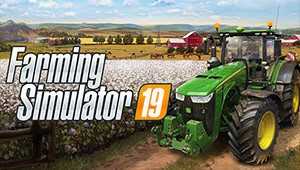 Experience the global nature of modern farming in its entirety with Pure Farming 2018: Digital Deluxe Edition.